Princess Charlotte went shopping in her Uncle Harry’s closet for her first European trip. The 2-year-old royal, who is in Poland and Germany this week with mom Princess Kate, dad Prince William and big brother Prince George, broke out a pair of Prince Harry‘s old shoes to make her entrance when landing in Warsaw Monday. 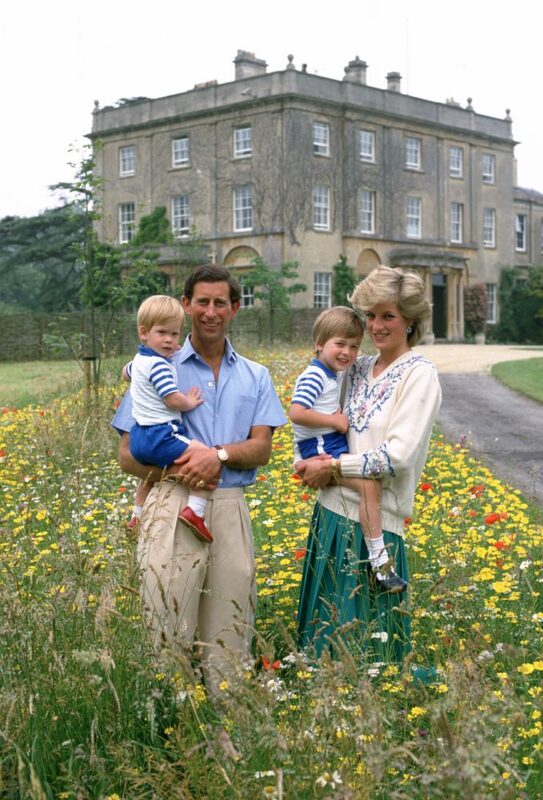 The red leather buckled shoes were seen on an almost 2-year-old Harry back in 1986, in a photo session with his mom Princess Diana and dad Prince Charles. And after 30 years, the adorable royal hand-me-down is still in pretty good shape! Browsing through Will and Harry’s childhood clothes is nothing new for Kate. Prince George has worn his dad’s old ensembles on a number of occasions (as well as replicas of William’s outfits, too).) 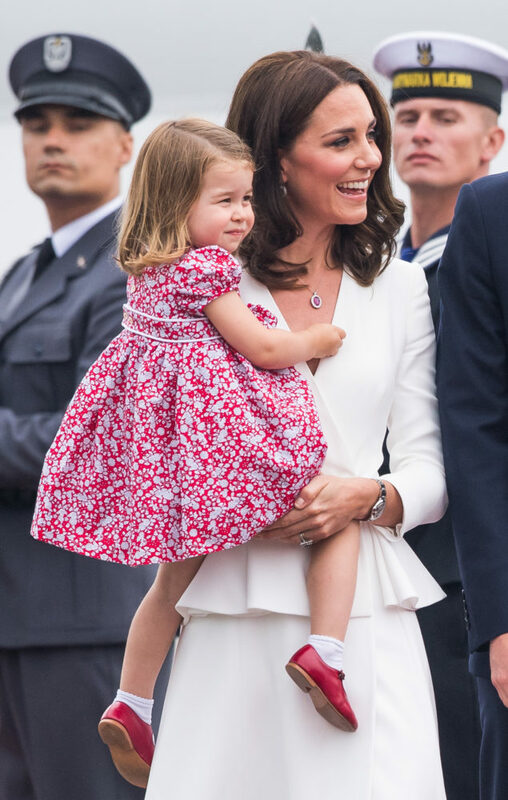 And last year, on the family’s royal trip to Canada, Charlotte wore the same cardigan that George wore to the hospital to greet her after she was born. Related article: All the photos you can’t miss from William, Kate, George, and Charlotte’s big European adventure! Even royals can be thrifty!